I have a retail store and i purchased a few power supplies from Coolermaster. I installed one of them into a customers computer and it kept shutting off. I realize with components this can happen. Unfortunately, i can not for the life of me understand the logic behind they way coolermaster does their RMA. I have been waiting for almost a week and i still have the faulty power supply sitting by my desk. I have heard from coolermaster and the email was telling me my ticket is pending. ARE YOU SERIOUS!!!!!! the website they have is terrible for customer service. 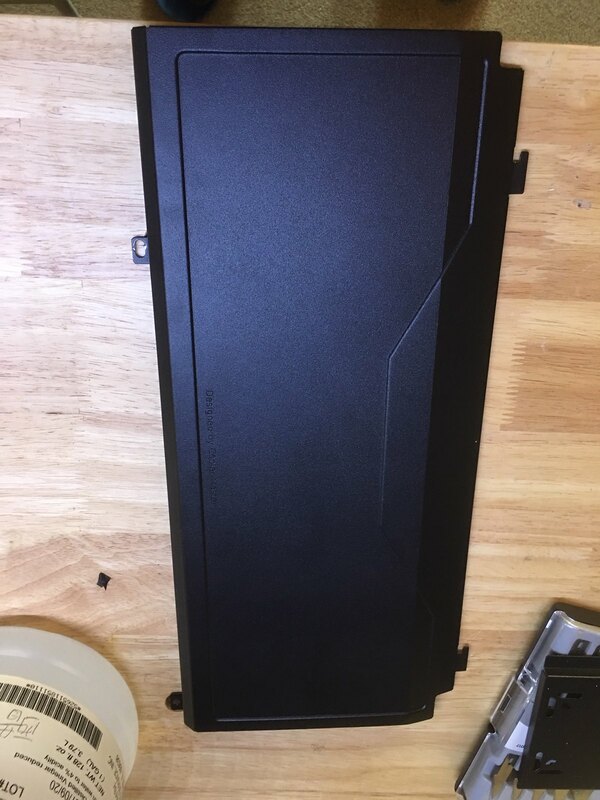 i will never recommend any product from coolermaster again. this was a real eye opener. Now i know how the end user feels. anyone try to convert the ML240R into an open loop? 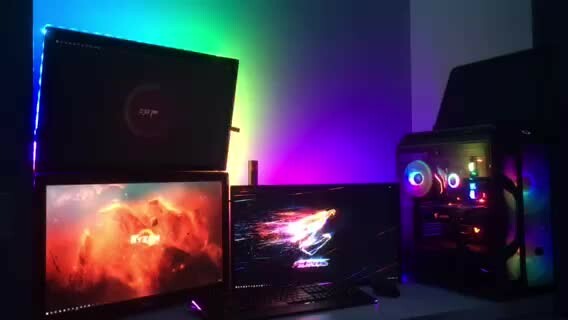 i love the RGB, but hate the issue with noise. the pump is kinda noisey and the loop is not full filled. i can hear the air. no leak that i can see. so thinking cut the tube and replace them with hardtube and replace the rad with a full copper version. i was wondering if the pump within the cpu block strong enough to push the flow. just wondering how big are those barb fitting? i am happy with the same, give you more option down the road if you want to water cool your rig. the ML240L will comes with its own controller, so no need of any rgb/argb header is needed. 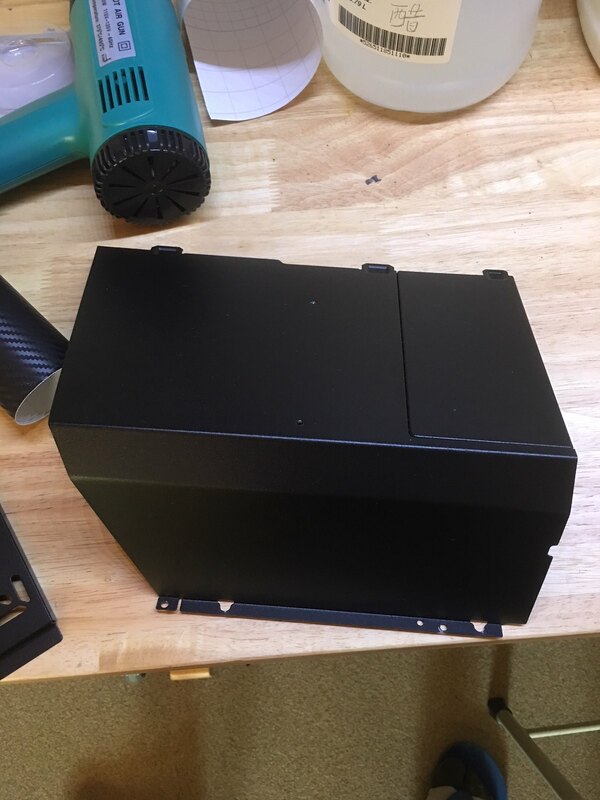 but speaking for my ml240l, first check out what it will look like in real life first, especially the CPU/pump part, what you see on their site(color and intensity) are not what you will get. 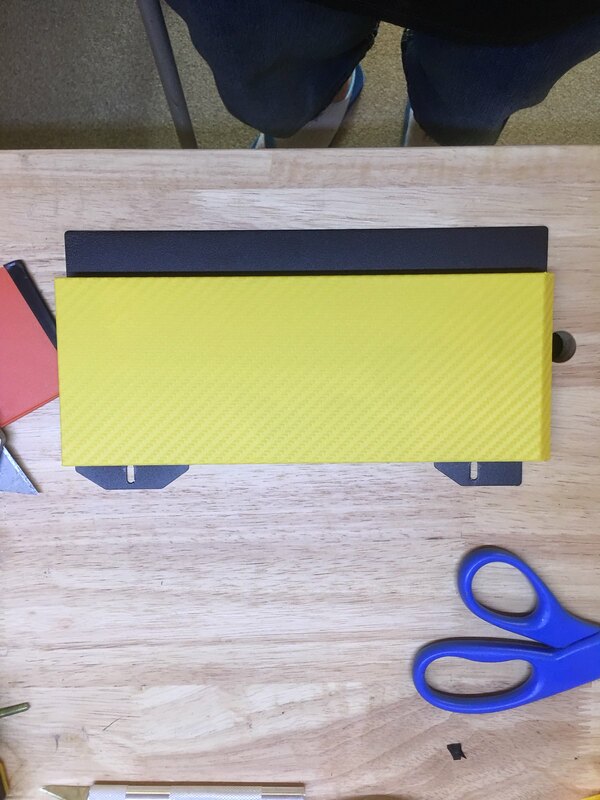 check out my build log to see what you will get in person. 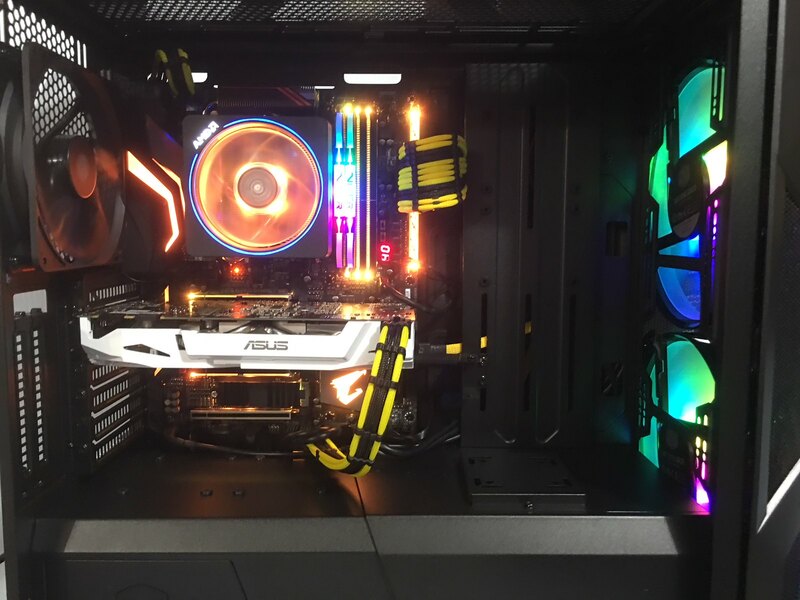 also, the pump is much louder compared to other AIO cooler, I can hear the air inside the loop each time I turn of my pc, I don't have that issue with other AIO, but it doesnt seem to be affecting the performance. also i have issue with their controller not working, and the customer support just ignoring my question when i seeming for help try to solve the issue. personally, i would recommended go with other AIO. finally, i have a little bit of time to do more work with my build, install the aorus and redo the gpu cable route. so it came through the psu cover. almost there, just need to have some time to do the custom cover plate between the Mobo and the front intake fans. 2 steps forward one step back. well, a less than 2 months old argb fan just fail, still wait on CM support to reply. the new argb controller also seem to be problematic, once i upgrade the firmware the reset button no longer can change color, the CM support just completely ignores my question... not sure whats going on with that. new psu sleeve to orange/black to match with the aorus mobo. 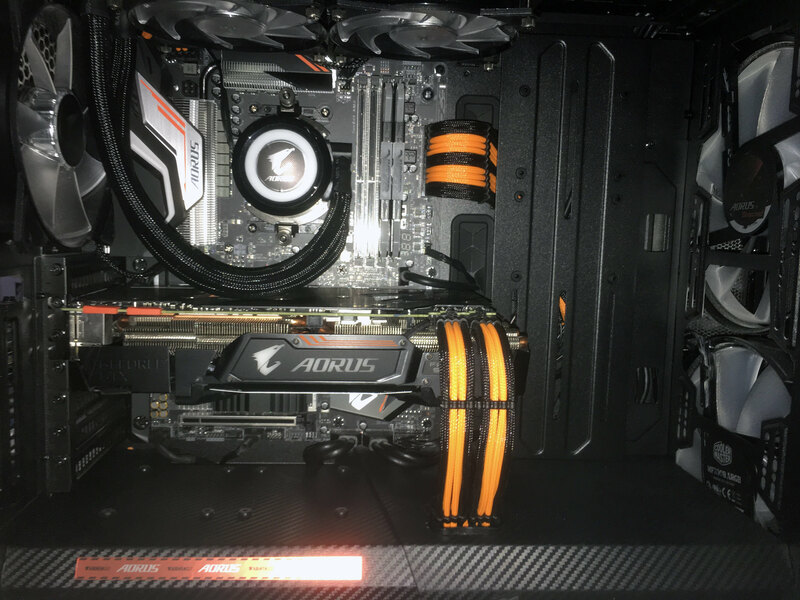 Aorus 1080ti Xtreme finally shows up. need 2 x 8 pin, just finished sleeving the cable, then i found out my cable grommet and cable comb got delay. school start tomorrow, i was hoping to have everything finished before that. 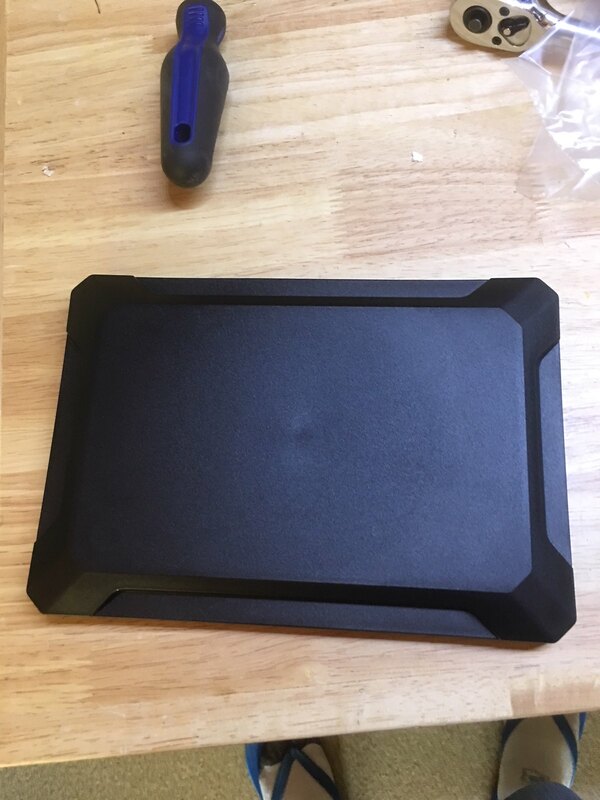 since coolermaster didnt make the product like their ad, so i have to add some elbow grease and make it happen myself. i think that will be pita to make that glass panel, since the "front panel" I/O kinda part of that. for a $40 dollars case, unlikely they will do that. you are better off with a local glass shop custom cut that panel for you. as far as thermal performance, it's actually very good. it keeps the ryzen 2700x around 31-34c idle and under full load 4.1ghz steady around 50c. i set the fan/pump speed to fairly low. so it keeps the CPU cool without making a jet engine sound right next to you. what a disappointment, it's a joke. if you went to their website, the new ML120/240/360R series, looks super cool and super bright. if you think that's what you are going to get, you are so going to be disappointed. 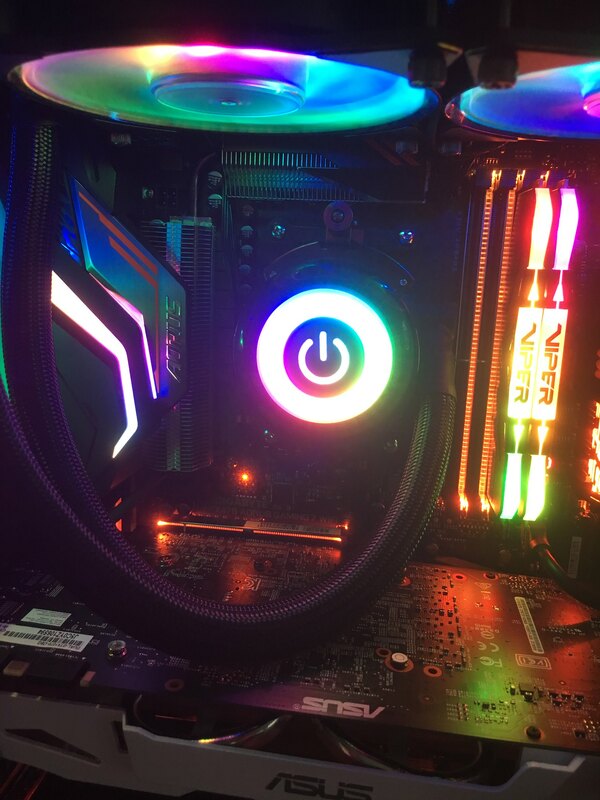 dont waste your money, as far as the led on the CPU cooler, it's super bright and cool looking on their webpage, in real life, you got 10% the brightness if that. I call that false representation of the product. if you want a nice looking cpu aio with cool rgb effect please go with the liqfusion or nzxt kraken. 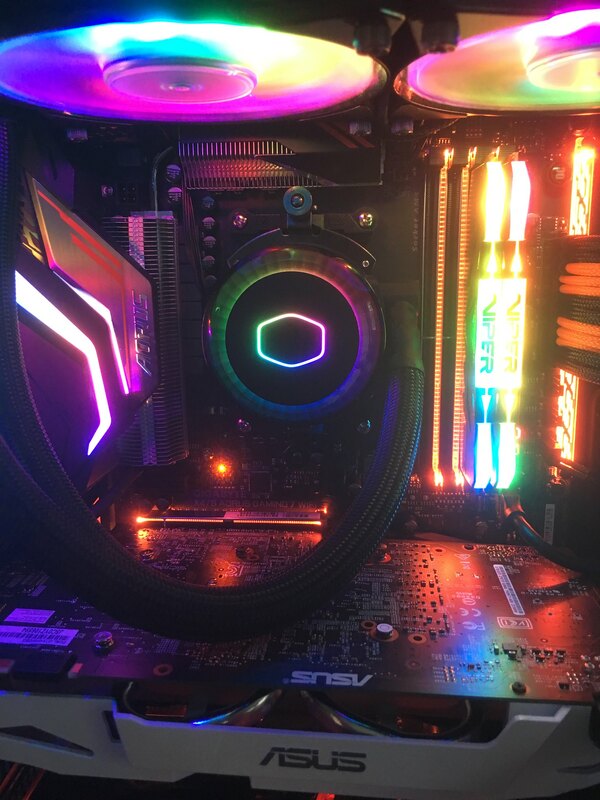 if i know what i know now, i wouldnt purchase the cpu cooler at all, with the barely visible rgb, you are better off buying a non rgb cooler and save some money. something didnt end up. if the water is moving, then heat will be transfer. and if the fans and water are working heat should leave the rad to air.  so that leave the thermal interface. did you remove the plastic? did you apply thermal paste? give more details, like starting temp and how fast it move up? can someone post a pic of their ml120r/ml240r/ml360r? i just got mine ml240r today, got it installed and fire up, everything seem to be running and connected correctly, but the led on the pump head is extremely dim. if you look straight on, you almost didnt notice the led is on on the outside rim. 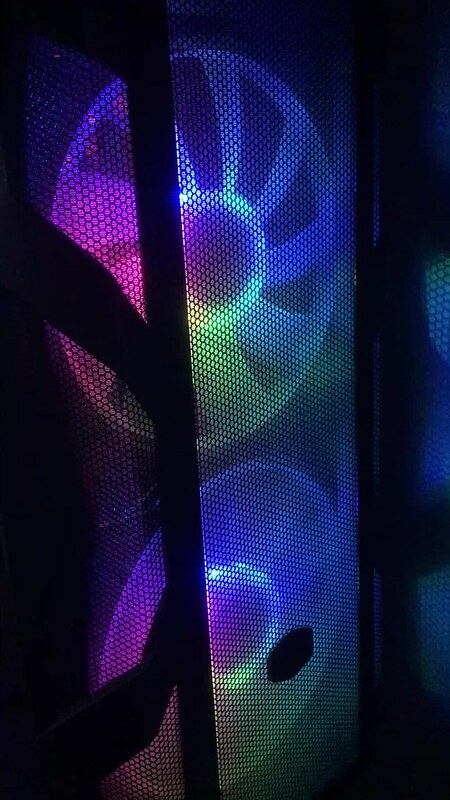 the fans are fine, i switched the ports, seem to be the same, looks like the led within the pump head is the issue. as far as i can see from youtube and the cm ad, this is not even close to what i seen so far. couple more bumps on the road. of course, motherboard bricked, just got a new mobo today. i also decide to upgrade the power supply to modular instead of non-modular, so if i do decide to go sli, i am ready. 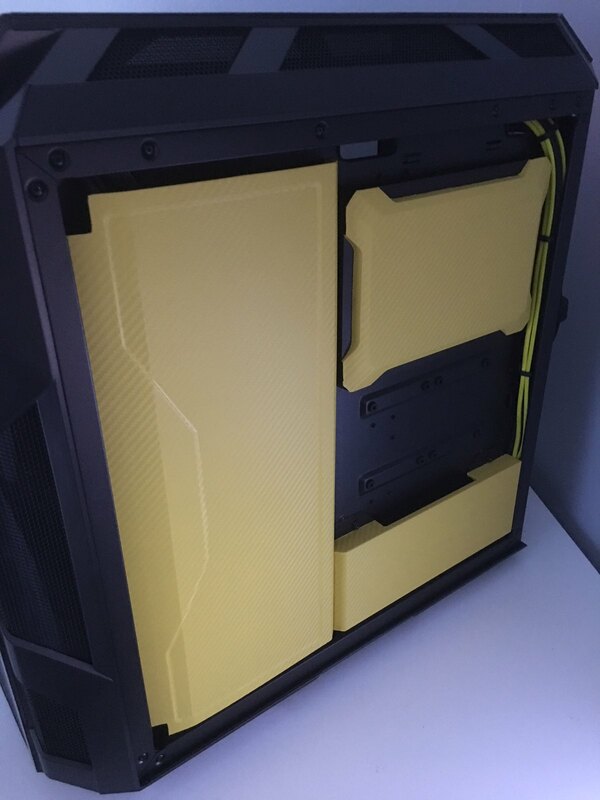 also, change the color from yellow black to orange black so it matches up with the motherboard. still waiting for the sleeves to show up. i have been away for building my own computer for 10 + years now. finally, i am back. since rgb seem to be the way to go now a day. 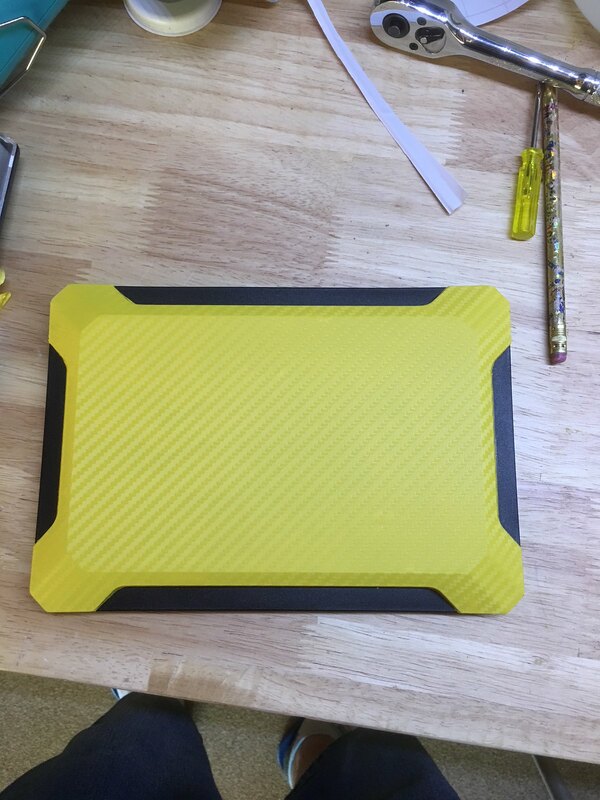 all non-light components, i will use black/yellow as main color. instead buying cable extension, i just decide to sleeve my own power supply. well, took a long time, i am glad i did it once, but i wont do that again. the back fan still on its way here. i was plan on using the newest ml240r as my cpu cooler, but after i read all the review i think i will wait to see if they work out the bug before i jump into that. 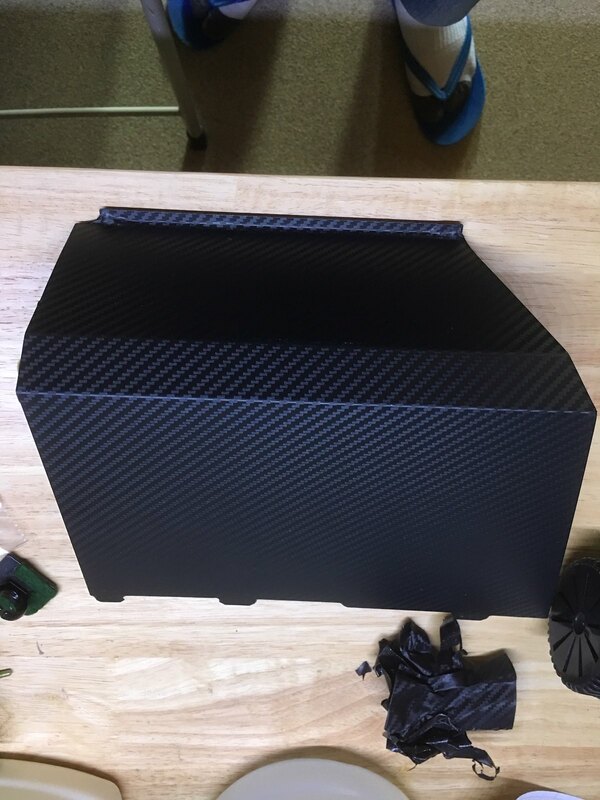 gps still need a new carbon fiber skin and custom back plate with argb. 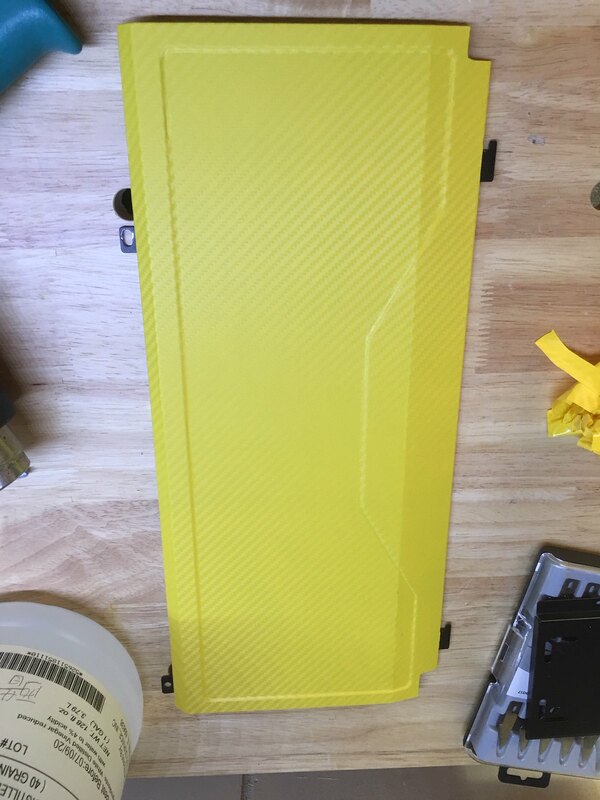 custom plate with argb to cover the slots right of the MB. hopefully the new argb controller will be available and bug free soon. install 2 rails of argb led on the top panel, hope the led strips will work with the argb controller from cooler master. 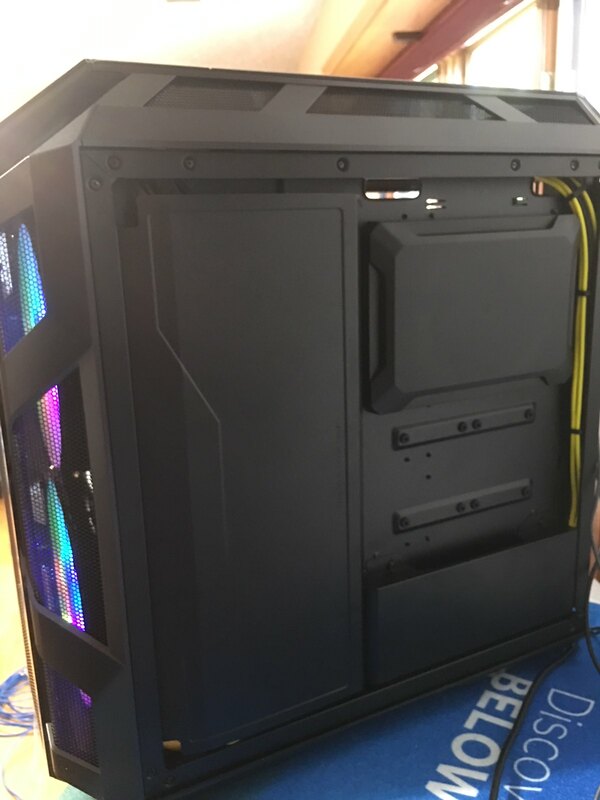 i have the h500m case want to replace the back fan with mf140r. when will those model available on the us market? only place i can find them are newegg but ship from hongkong.